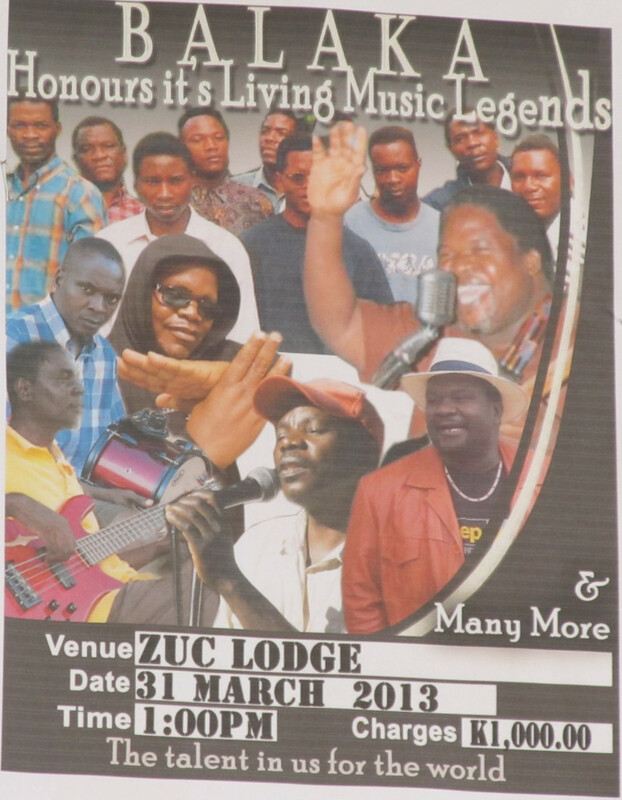 All roads are leading to the Easter bash organized by Alleluya band to commence at 1pm at Zuc Lodge this coming Sunday. 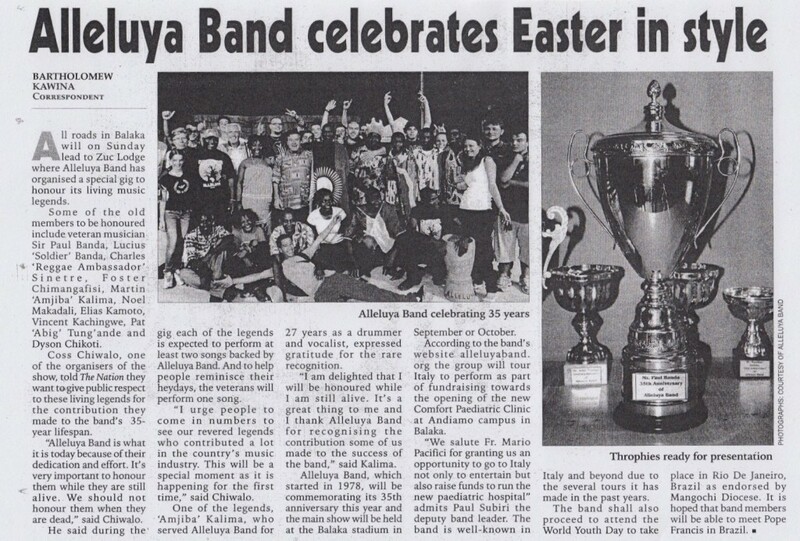 The 35 years of Alleluya band has made headlines in most of our local media houses. It is time the band claims to salute its veterans’ legendary efforts that got the band to where it is of late. This shall also be an opportunity to thank the fans who have rolled with the band in sunshine and in rains. This entry was posted in Culture and Sport, News from Malawi, Social Development and tagged Alleluya Band, Andiamo, Easter, Harry Pongolani, Legends. Bookmark the permalink.